The Skinny: Megabudget Korean blockbuster delivers the goods - in a bombastic, melodramatic fashion. Like previous blockbuster Shiri, 2009 Lost Memories is entertaining, beautifully produced, and incredibly crowd-pleasing. Also like Shiri, the movie is a commercially calculated product - which can be good or bad depending on who you are. by Kozo: It can be said that Korea knows how to make blockbusters. Like Hollywood, Korean Cinema marries large budgets, popular stars, high-octane action, special effects, a grand scale and flag-waving rhetoric into popular entertainment for the masses. 2009 Lost Memories is a prime example. This sci-fi action spectacular comes with a patriotic plotline and enough action to satiate most thrill-seeking fans. However, sometimes mass appeal can neuter a film. 2009 Lost Memories possesses a promising, even daring storyline, but ultimately the film becomes nothing more than great popcorn stuff. The film takes place in an alternate history where Korea has been subjected to Japanese rule for over one hundred years. In 1909, Korean nationalist An Chung-Gun assassinated Japanese statesman Ito Hirobumi, which set in motion the Korean Nationalist cause. In 2009 Lost Memories' timeline, An was stopped and Ito saved. As a result of that one change in history, Japan went on to win World War II with the aid of the United States, and Korea has become almost entirely Japanese. Korean people and culture still exist, but they've been largely relegated to smaller districts (i.e., "Koreatowns") all over the region. However, there's a grassroots nationalist movement called the Hureisenjin, which use violent means to drive home their philosophy of Korean independence. Enter cops Masayuki Sakamoto (Jang Dong-Gun) and Shojiro Saigo (Toru Nakamura). They're members of the Seoul office of the Japan Bureau of Investigation (JBI). It's their job to untangle the mystery behind Hureisenjin's latest terrorist action, which involve the theft of mysterious Korean artifacts. Sakamoto has a particular axe to grind, as his former cop father was shot by fellow officers while working for the Hureisenjin. Sakamoto is actually Korean, but he believes that the Hureisenjin are criminals first, and patriots second. In truth, he couldn't care less about Korean independence. That is, until this particular case. It seems that the artifacts that Hureisenjin seek are owned by the Inoue Foundation, a mysterious conglomerate that can crush little people like ants. One of the artifacts is a curious quarter-moon, which also resembles a dangling necklace from one of Sakamoto's mysterious dreams. Somehow, all of this is supposed to be connected, so Sakamoto starts with the Inoue Foundation. Bad idea. His curiousity sets in motion an incredible chain of events which have as much to do with the events in 1909 as the events in 2009. It seems that the Inoue Foundation is named for the man who did away with An Chung-Gun waaaay back in 1909. And, the Hureisenjin's quest for independence is less about patriotism than it is about justice. Even more, the mysterious Hureisenjin member Hye (Seo Jin-Ho) seems mighty familiar to Sakamoto. Plus, Sakamoto may find himself at odds with his old friend Saigo. And, more violence must occur. The plot details of 2009 Lost Memories are extremely involved, and unfold over the course of the film's two hour-plus running time. Besides history, there are also issues of nationalism, justice and brotherhood to consider. Sakamoto must decide whether or not to stick with the Japanese, or go with the "terrorist" Hureisenjin, which seems difficult given the circumstances. However, the film's eventual sci-fi twists render the point moot. 2009 Lost Memories posits some complex, daring themes, but everything becomes obvious once the ninety-minute mark rolls around. There becomes only one way all of this can end up, which is where the film begins to lose steam. Thankfully, the more superficial aspects of the film are superior. The action, while of the Hollywood shoot-em-up variety, is exciting and well-done. Furthermore, the production design, cinematography, and costumes are excellent. This is one good-looking movie. Charismatic actors Jang Dong-Gun (who starred in the blockbuster Friend) and Toru Nakamura (of Gen-X Cops and Tokyo Raiders fame) do well with their parts, though Nakamura has an unenviable character to play. Shojiro Saigo could have been the film's most pivotal character, and he's certainly the most conflicted. 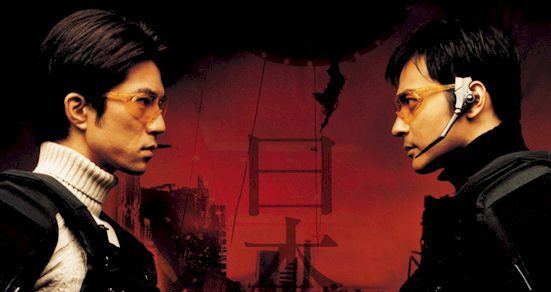 However, despite Nakamura's generous portrayal of the character, Saigo ends up as nothing more than another pawn in the twisting narrative of the film.